REFUGE – NIGHT OF THE BLOOD SKY – Available Now! REFUGE is a serialized novel, co-authored by #1 Amazon.com horror author, Jeremy Bishop (my pen name), and five other authors, including Amazon.com bestsellers Jeremy Robinson (the real me), Kane Gilmour and David McAfee, USA Today bestseller, Robert Swartwood, and newcomer Daniel Boucher. The novel will be released in five parts, every two weeks starting November 12, 2013, but it will also be available as one complete novel, as soon as the fifth episode is released. So read along as they appear or hold out for the (very long) completed novel. Either way, you’re in for a creepy ride. My Top Secret Pen Name: Revealed! Picture this. I’m standing in front of an eager throng of reporters. I’m well dressed and looking far more metrosexual than usual. All eyes are on me, desperate for information…about someone else—Jeremy Bishop. 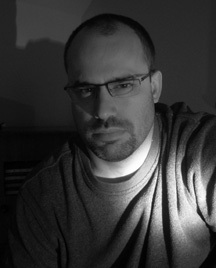 Who is this dashing writer who appeared out of nowhere and became a #1 Amazon.com horror author overnight? His first novel, TORMENT, is loathed by an angry few and adored by many. But he’s a mystery. No one knows who he is, or where he came from and yet, I know him, I promote his books, and claim to be his “friend.” It’s reminiscent of how Peter Parker always happens to get the best pictures of Spiderman. So the questions come to the only potential source of information available to the world. Me. And the question everyone is asking is: Who is Jeremy Bishop? Every now and then I feature a book by a friend, in this case Jeremy Bishop, whose novel, TORMENT, was previously featured here. Bishop is back with his second novel, THE SENTINEL, and it’s as awesome as the first, but far less serious and is, at times, as funny as it is frightening. 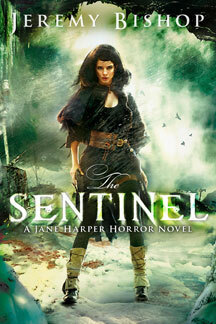 And a lot of our mutual fans will be happy to know that the ending in THE SENTINEL won’t make readers as…angry? Rage-filled? Consumed with personal guilt? Heh. Story description is below, but don’t even bother reading it. Just go buy it! If you like my books, you’re going to feel right at home with Bishop… E-book only right now, but I hear print is coming by October.